Entering into week 2 of the UTLA strike against LAUSD, student attendance at the schools was down to 15 percent and support on the picket lines from unions, parents, students and the community is way up. This not going as planned by the board and their school privatization backers. They hoped, through the media (and media articles), to pit parents against teachers, and on Jan. 19, Advanced Placement students, studying for the AP exams against all the rest. They have failed miserably. More than 15,000 non- teacher UTLA supporters have joined the picket lines at the more than 1,100 schools on strike against LAUSD. SEIU 99 (school staff, bus drivers, cafeteria workers, etc.) have struck in sympathy at 10 schools … and next week that will increase, according to UTLA spokespeople. Teacher demands for smaller classes, a nurse in every school every day, more psychiatric and academic counselors with smaller caseloads, teacher pay increases, cap on nonunionized charter schools have struck a real chord with the population overall. Even some national TV shows have featured the strike. Seeing the forthcoming UTLA victory, some politicians have finally spoken up in support. 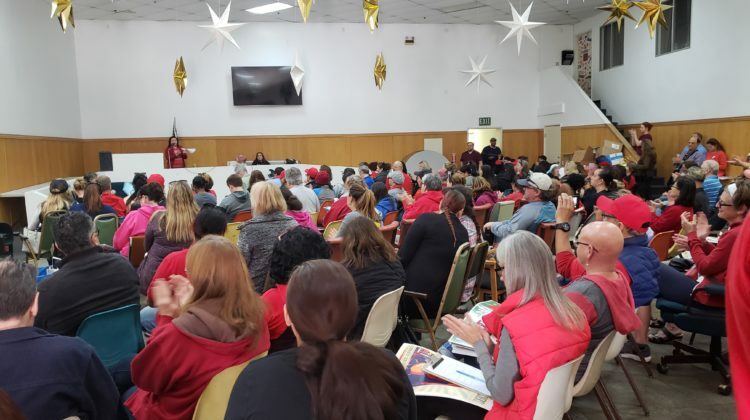 At a spirited meeting of harbor area schools, UTLA strike and picket captains heard reports and mapped out plans to increase support for the strike. Stephen Seal, harbor area chairperson motivated the crowd with chant of “one day longer, one day stronger.” The Eastern Airlines strikers, International Association of Machinists members created the “one day longer” slogan duiring the 1989 air traffic controllers lockout. The ILWU has turned out a few picketers at many school sites. This is an example for all unions to follow and to increase numbers of other unions and their members on the line and opening their union halls thus providing a safe area and food for students who do not want to cross the picket lines. 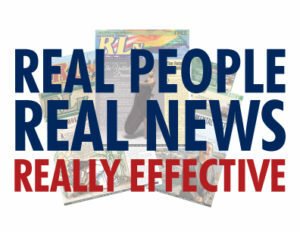 This was a key factor in the West Virginia teachers strike victory… becoming a social movement. Support came from Metro bus and train drivers giving striking teachers free passage. Gloria Martinez, Elementary, VP of UTLA. Gave the major presentation. “We are on the right side of history for educational justice. Most of us have never been on strike. Yet, we had nearly 30,000 of us for the last five historic days. Next week our picket lines need to remain strong; and they are getting more creative. The power is not at the bargaining table, but on the pickets, our relationship with the community, activism we are creating. We will have an impact on UTLA for our future and come out of this with a stronger union. We are changing because we have decided to stand up and fight for what’s right. We had a contingent in today’s women’s March downtown and will be participating in Martin Luther King Day parades Monday. We will have regional actions and gauntlets next week. After decades of stamping on our rights, eliminating input on curriculum, cutting our role in budget issue discussions and curriculum and would so much over teaching. We have been doing more with less. We will be out one day longer than LAUSD. Let us not hesitate to ask other unions to join the line. We need to pressure the LAUSD board. We need to turn the heat up on the principals.” Many of whom, including their union head, Juan Flecha, have called on LAUSD to shut the schools, fearing their inability to provide a safe environment. 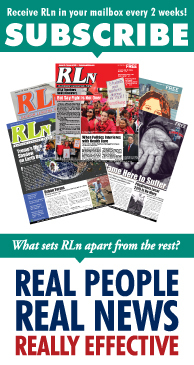 As an alternative to Daily Breeze lies and anti-worker editorials, I urge all teachers and working people to read Random Lengths, send in articles and pictures on your struggles, Facebook us, Twitter us or Instagram us.